Pop quiz: how many tour matches have England played in Fiji, Samoa and Tonga since the start of professionalism in rugby? The answer is ‘zero’. In an era when revenue for a national union is accrued largely from incoming tours where the home union keeps the gate receipts, sponsorship and broadcasting revenue, it is an unfortunately typical example. Back in 2017, the Samoan Rugby Union was declared bankrupt by the country’s Prime Minister, Tuila’epa Sailele Malielegaoi (who doubled as the SRU chairman) on the eve of their November tour match against Scotland. A few weeks later, England donated £75,000 of the Twickenham gate receipts in response to a plea for help from their visitors. It was a drop in the ocean. To place the RFU’s goodwill gesture in some kind of perspective, England were expected to make over £10 million from ticketing, sponsorship and TV revenue for their home game against New Zealand in 2018. The RFU kept all of the money according to the rules established by World Rugby. Deals can, however, be negotiated outside of the official Test match tour windows. For example, when the All Blacks played Australia and Japan in Yokohama and Tokyo last year, they earned a substantial fee from private commercial arrangements. But that is the exception rather than the rule. 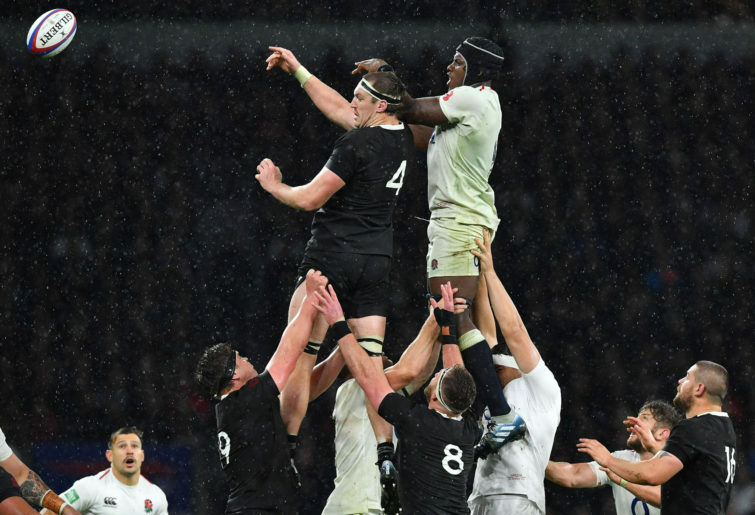 When NZRFU CEO Steve Tew tried to negotiate a similar deal outside the November window against high-flying England back in 2016, he was rudely rebuffed. New Zealand’s asking price was reputedly £3 million to come to Twickenham that year. Although the gate receipts for England’s 2018 home game against Japan also ran into millions, the amateur players of the Japanese team were still being paid a paltry £13.64 per day in expenses. It is the tier two nations, and particularly the Pacific Islands, who suffer the most. Tours to the islands are rare and nations like Fiji lack the infrastructure (like big modern stadia) to make the most of them financially. Looking across the horizon of a new year, some important changes may be afoot. There is potential for a new global calendar including a Test match league structure. There are rumours of a new professional club/provincial league in the southern hemisphere, bankrolled by Japanese investors, which may in due course replace Super Rugby rather than run alongside it. Moreover, a ‘no-deal’ Brexit is likely to dramatically reduce the attraction of players from the Islands and South Africa for UK clubs. The EU trade arrangement which currently allows players from Samoa, Fiji, Tonga and South Africa to play as Europeans, rather than be classified as foreign imports, would cease immediately. To give one example, the current Gloucester first team squad includes seven South Africans, two New Zealanders and one Australian. Right now, all seven South Africans can play in European competitions without counting against a cap which only applies to the three Australasians. If the UK leaves the European Union with no deal in place, all ten players would count against the cap. All this would make staying in the southern hemisphere a much more realistic prospect for Pacific island players, as would the licensing of a Pasifika franchise in Super Rugby itself. Auckland would be one natural base for that franchise. As it stands, the Pacific nations are second-class citizens, even though most of their players are very much out of the top drawer. 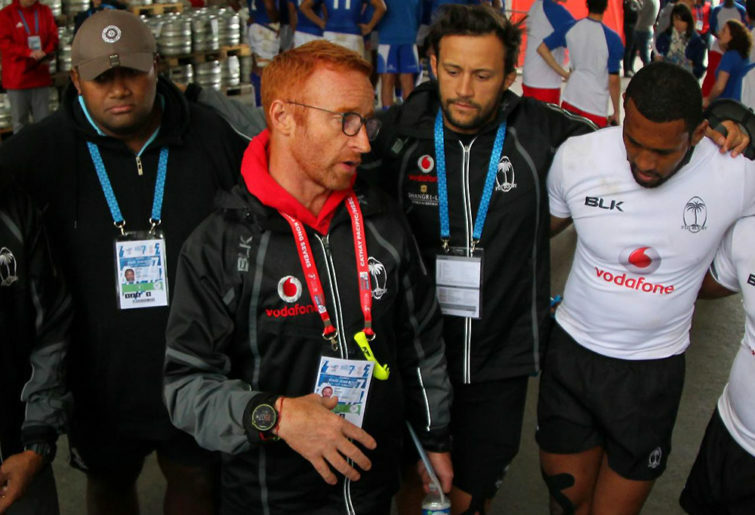 Welcome to vaka viti - rugby sevens the Fijian way! 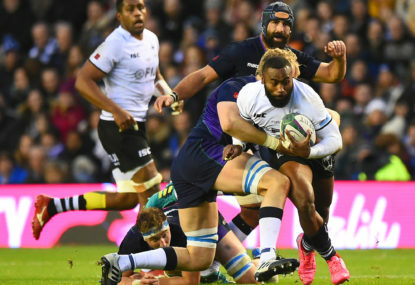 Having to gather players from every rugby-playing continent in the world and with only four days’ preparation behind them, Fiji lost 54-17 to Scotland in the first round of November tour matches. Two weeks later, and with the benefit of solid training time together, they were beating France 21-14 in Paris. The margin of victory should have been much, much wider. 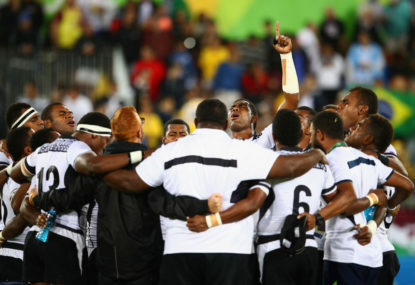 When given a chance to compete, Fiji confounded some modern myths about the so-called ‘second tier’ nations – about their set-piece ability, their discipline and their conditioning. 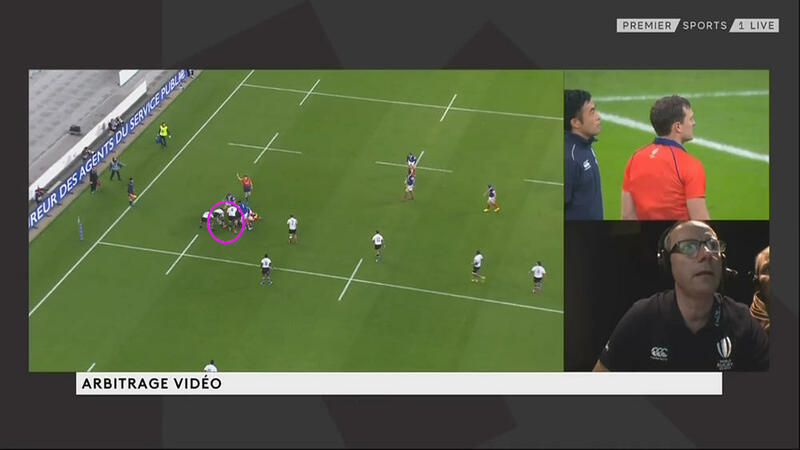 They scrummed well (better than Les Bleus), and they conceded the same number of penalties as the home team despite being forced to make 66 more tackles. They completed 25 per cent of those tackles, and made three key turnovers in the last 11 minutes of the game, with their goal-line under constant siege. At the heart of Fiji’s victory was centre Semi Radradra. 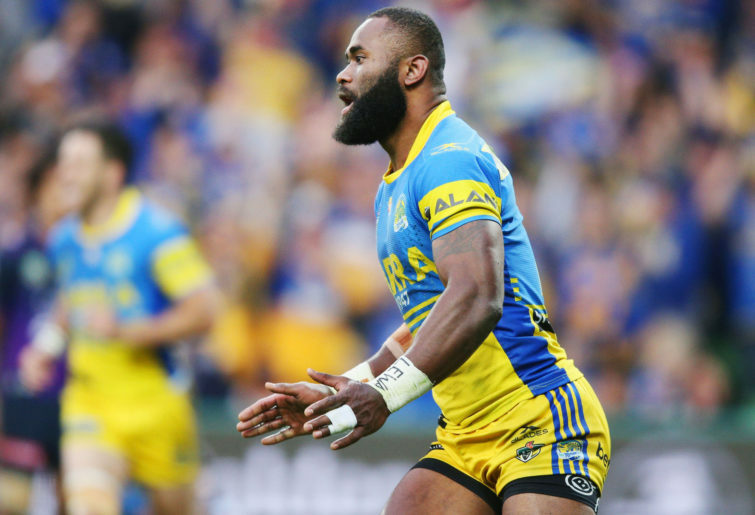 Radradra will be well known to Australian rugby league supporters as a member of the Paramatta Eels backline, after spending his formative years playing union in the Fijian under 20s and sevens set-ups. As a prolific try-scoring wingman for Paramatta between 2013 and 2017, Radradra became the first-ever Fijian player chosen in the RLIF team of the year in 2015. After moving back to rugby union with Toulon in 2017, he was immediately nominated for the Top 14 player of the year award. Great pedigree, great centre. The sight of huge 125-kilo Frenchman Matthieu Bastareaud is enough to make even international opponents quake at the knees, but he cut no ice with Semi Radradra. Radradra dominated the midfield from beginning to end, both with and without the ball. With Bastareaud looking to power through Radradra only a couple of metres from the goal-line, the big Frenchman was comprehensively rejected! The disregard for tier two nations also has an on-field manifestation. They very seldom seem to win the 50-50 refereeing and TMO decisions in tight games – and so the world order is reaffirmed! In the second half, a superb offload assist by second-rower Leone Nakarawa was cancelled out for a late tackle which had happened on the previous passage of play. Semi Radradra is a great loss to Australian rugby – not just to the Paramatta Eels in league, but to the union game in which he was brought up. Questions perhaps need to be asked of the talent identification system which allowed him to slip through the latter’s net. In the larger scheme of things, the fate of the ‘tier two’ nations in the professional game will be brought into ever-increasing focus in 2019. The days of clubs complicating the international release of Island players, of reduced prep time and questionable refereeing decisions in the matches against the tier one teams, need to come to an end. There are just too many vested interests at work, who do not want nations like Fiji to stand on their own feet and be successful internationally. Searching questions will also be asked about the distribution of international revenue with a change in the global calendar, and even a ‘world nations league’ now on the horizon. If Brexit does indeed become a ‘no deal’ reality, the market value of players from South Africa and the Pacific islands will fall in the UK, though not in France. They will activate the cap for imports and lose the status of honorary Europeans which they currently enjoy. That, and either a professional club league based in Japan, or the formation of a Pasifika Super Rugby franchise in Auckland, will probably persuade more Islanders to stay home rather than try their luck in Europe. If there is one New Year’s wish for the game of rugby, it is that more administrators enjoy the good sense of a Ben Ryan, and cultivate the will to employ truly objective assessors of their work.